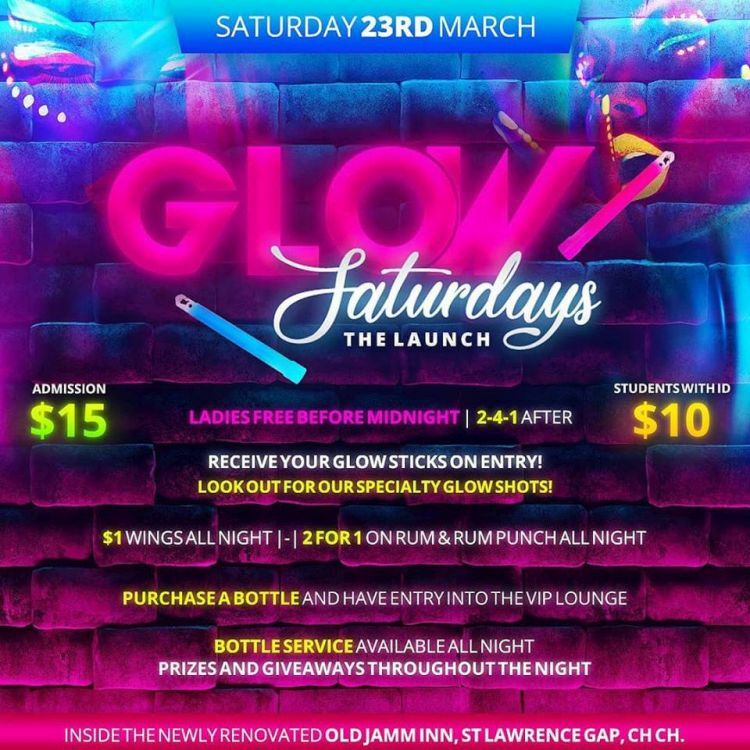 You are invited to The Launch of Glow Saturdays at the Old Jamm Inn. 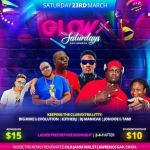 Receive your Glow Sticks on entry. 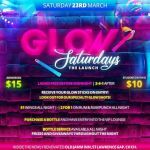 Specialty Glow Shots, $1 Wings and 2-for-1 on Rum & Rum Punch all night. Purchase a bottle and gain entry into the VIP Lounge. 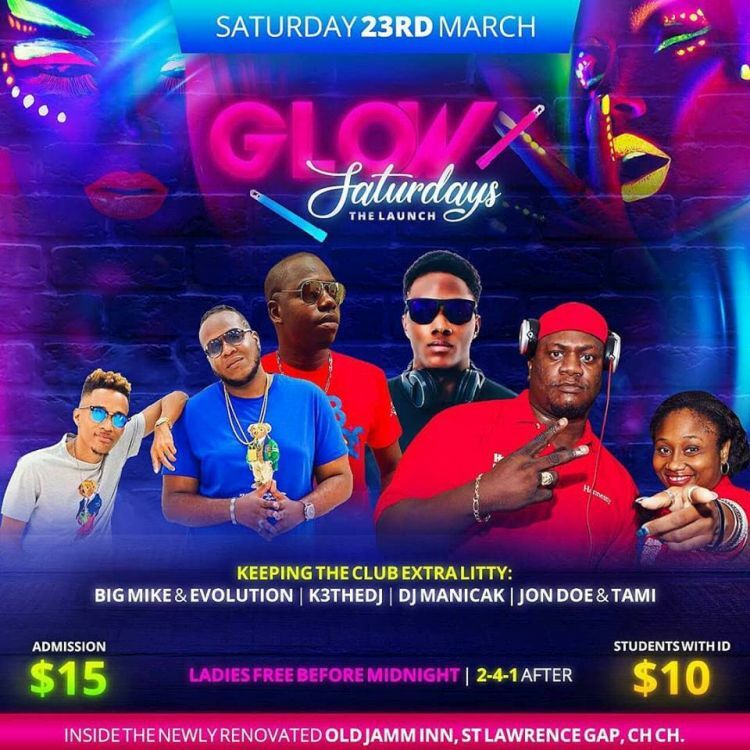 Prizes to be won and giveaways throughout the night.